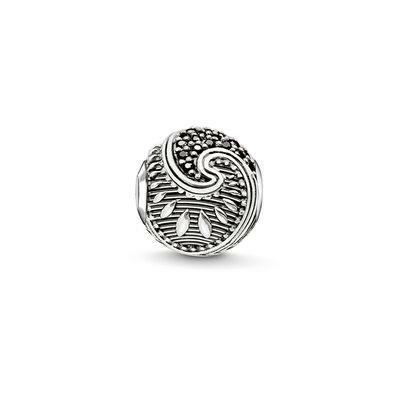 This beautiful Sterling Silver Karma Bead by Thomas Sabo is the perfect symbol of strength and self-confidence. The bead features black Cubic Zirconia Pave set in the pattern of traditional Polynesian tattoos. With its subtle sparkle and unusual design, this fabulous Karma bead will be a stand-out on your Karma bracelet.